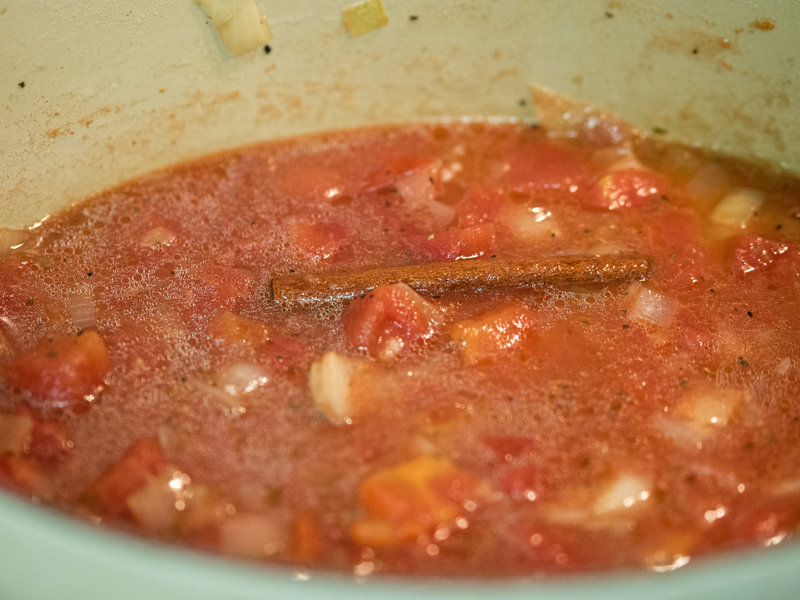 One of the main reasons I started this blog was to add some creativity to my cooking. Day after day making and eating the same stuff was becoming tedious. Old cookbooks give me great inspiration. They don’t have 100s of ingredients using various and sundry appliances that I don’t have (or frankly, want). If you google this recipe, you will see what modern chefs have done to it. Some have made it ridiculously hard with lots of steps and expensive ingredients. Frankly, it’s a travesty. 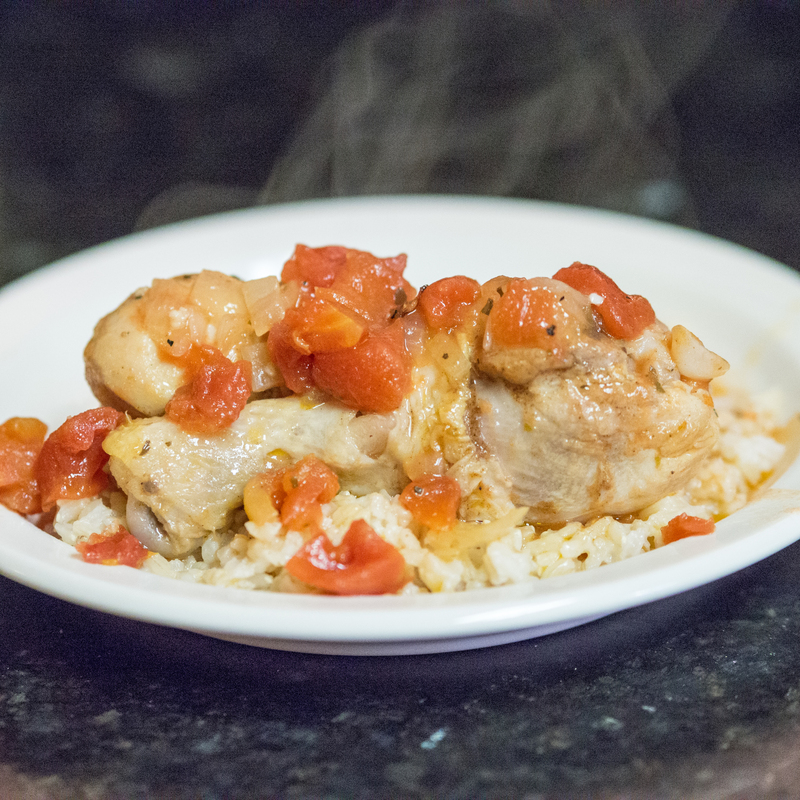 If you are tired of plain old chicken, give this recipe a try. It’s easy, crazy good, and fairly cheap eats. If you are lucky and can eat carbs, this dish is made to have the cooked garlic smashed across some wonderful, crusty French bread. 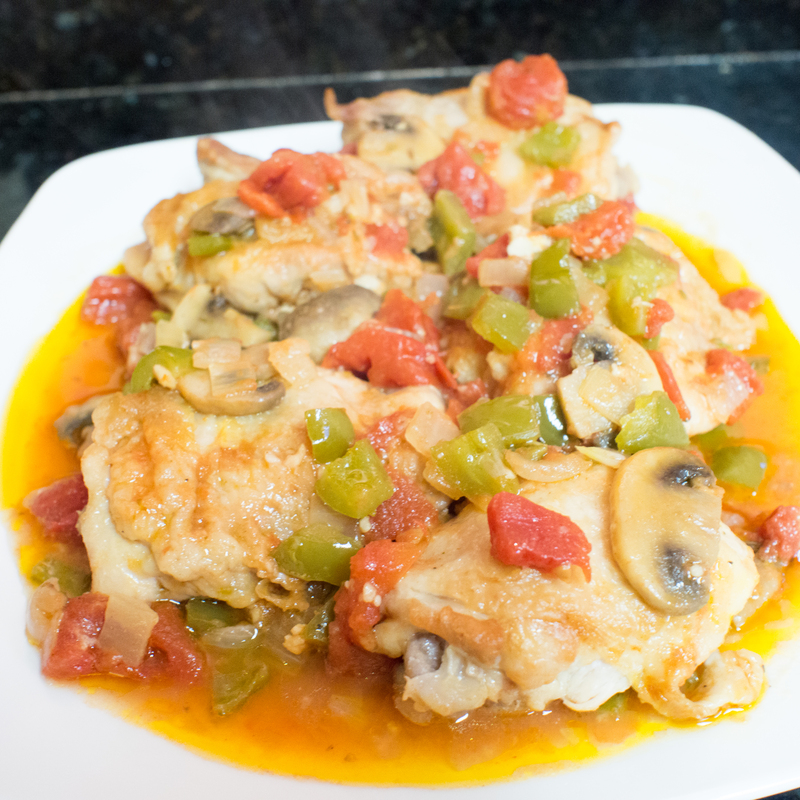 The bread can also be used to soak up the amazing sauce created by this dish. 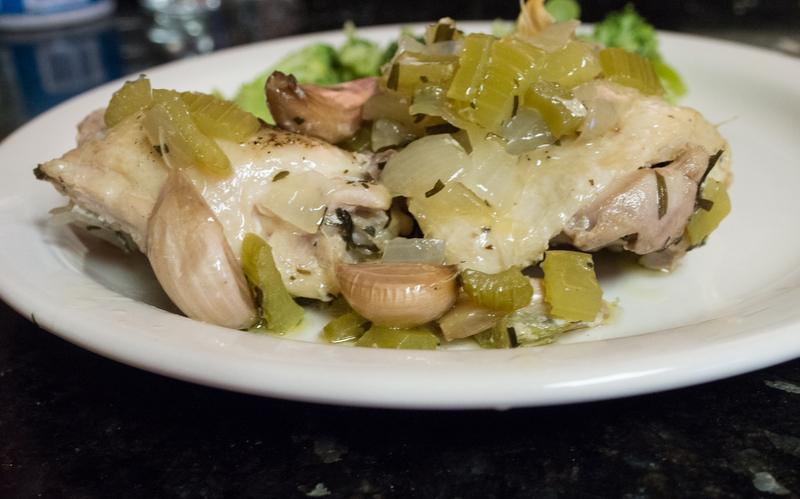 If you are no carbing it, the smashed garlic is still wonderful to combine with the chicken. Serve with a salad or steamed veggie and dinner is complete. 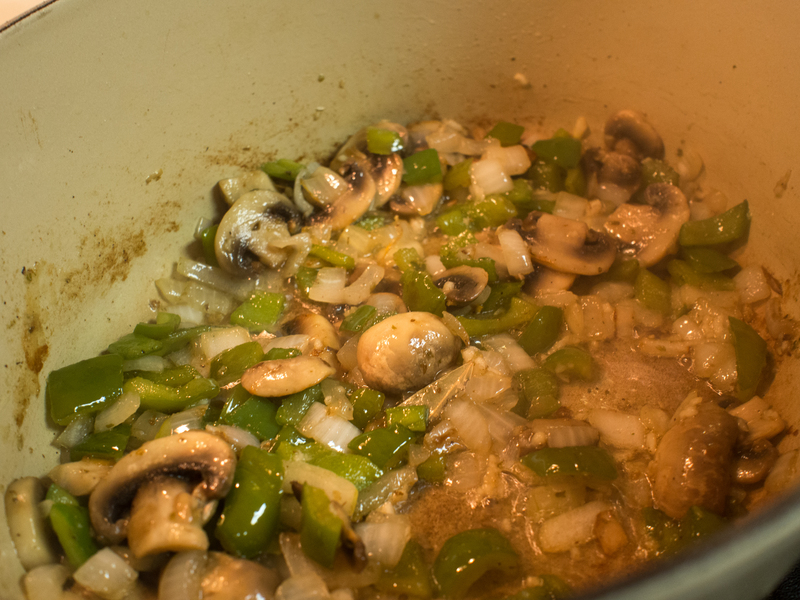 I’ve made this recipe to fit a 5 quart dutch oven. The recipe is very scalable for other sizes. 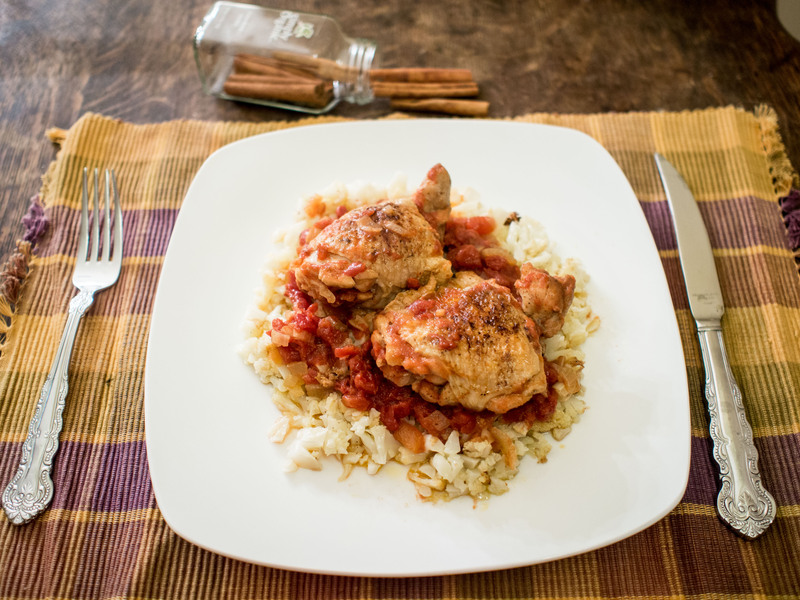 It’s adapted from James Beard’s 40 Cloves of Garlic Chicken recipe. 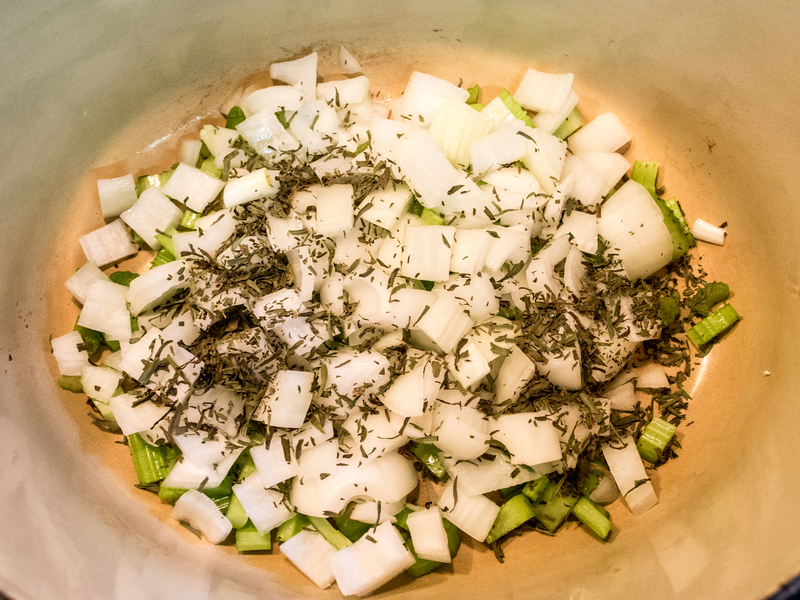 Place celery, onion, tarragon in the dutch oven. 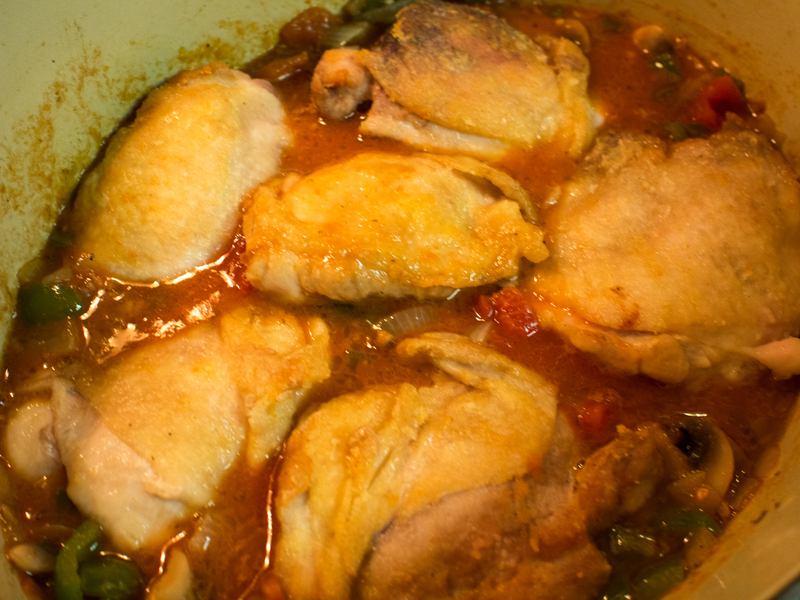 Top with the chicken thighs. 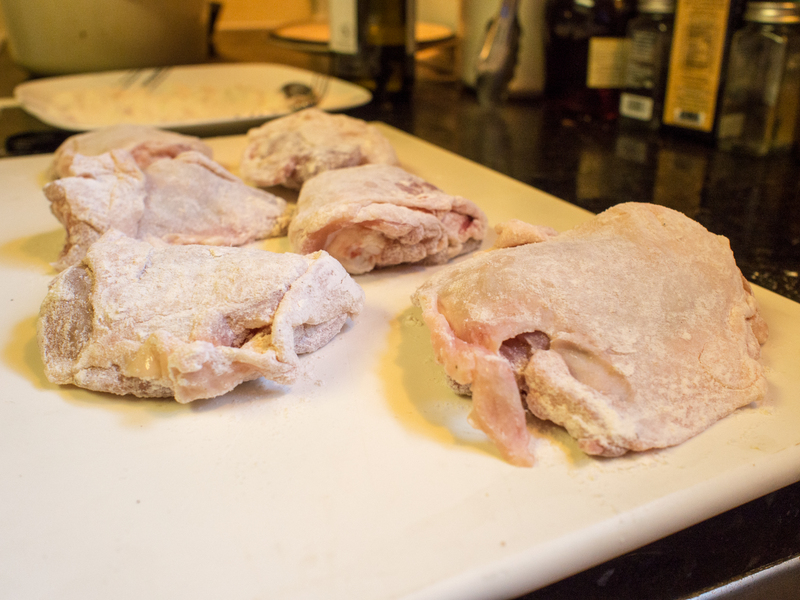 Pour vermouth over thighs, then pour the oil. 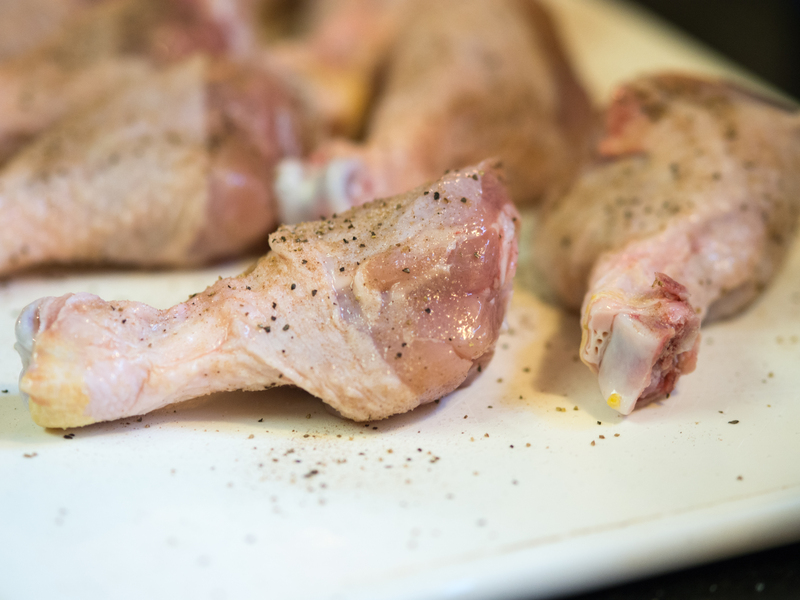 Season thighs to taste. 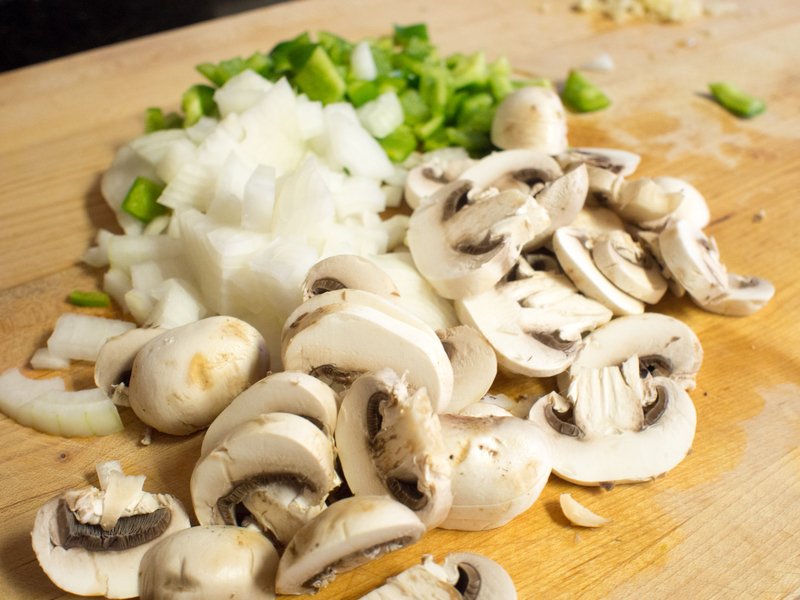 Tuck unwrapped garlic into every nook and cranny. 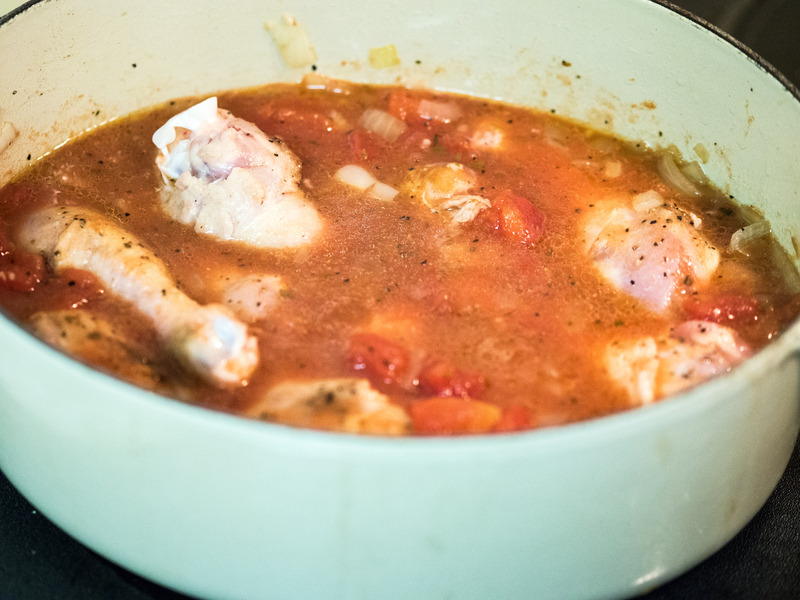 Cover the dutch oven and bake until the chicken is done, about 60 minutes. 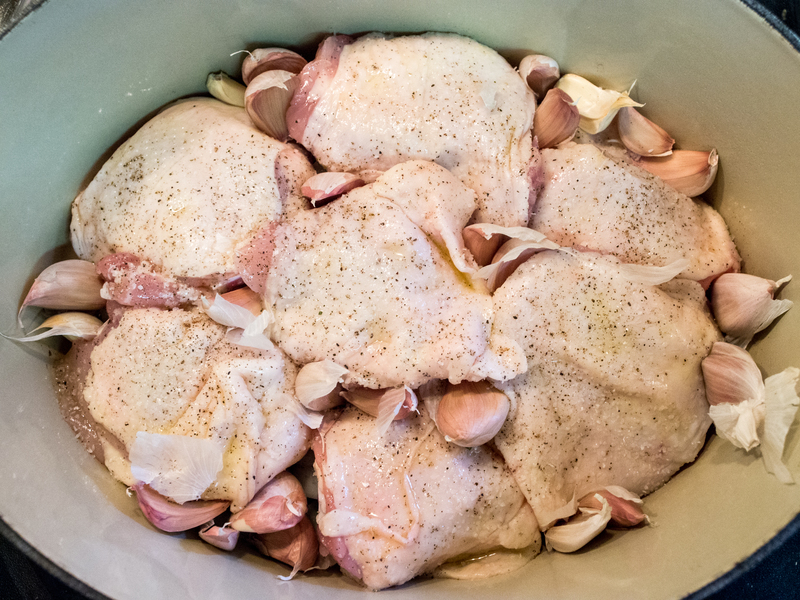 This entry was posted in Main Dishes, Poultry and tagged 40 cloves of garlic, Chicken, Chicken thighs, Clove, easy, Garlic, Gluten Free, James Beard, Low Carb, Olive oil, tarragon on April 13, 2013 by dawn of food.